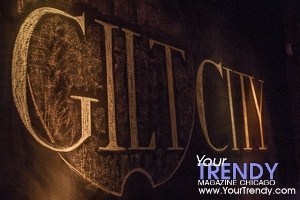 Gilt City Chicago members were invited to experience an exclusive night of cocktails and pampering at the 'Red Carpet Ready Event' with Baileys and Benefit cosmetics. 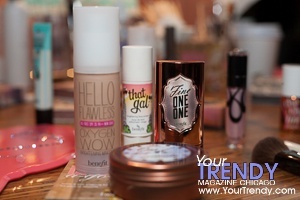 Guests walked down the red carpet and made stops at various beauty and lifestyle stations. 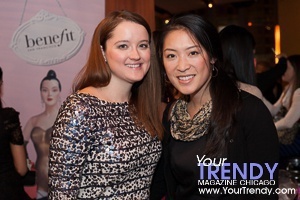 From makeup consultations to eyebrow waxing, cocktails and expert mixologists, Vertigo Sky Lounge at the dana hotel and spa was packed with everything you need for the ultimate girls night out! The event featured Red Carpet ready tips by Chassie Post, lifestyle expert, gilt.com and Debi Lilly, Chief Eventeur, A Perfect Event. As well as a Pretzel Crisps dipping station. Baileys 'Red Carpet' Cocktails included Baubles & Bliss, Haute Hazelnut and Baileys Red Carpet Martini. The deluxe gift bag included: Baileys recipe cards featuring custom Red Carpet cocktails crafted by an expert mixologist, benefit cosmetics "Watt's Up" a soft focus highlighter for face, UBER black credit, free class for two from Dailey Method, free class to Real Ryder Revolution, free class to Studio Fit, popcorn mix from Gary Poppins, free class to Shred415, bag of Pretzel Crisps and a exclusively dana card.